If you want to have a more humid place then you should get a quality humidifier. Stick to your budget when you use cheap dehumidifier voucher codes from your favourite retailers such as Amazon, Ebuyer, and eBay to maximise your savings. This is a great opportunity to purchase the dehumidifier that you are looking for because of the special offers available. Dehumidifiers can relieve sinus problems and other respiratory conditions. Get only the best dehumidifier from reputable brands. Get value for your money by taking advantage of the special offers today. 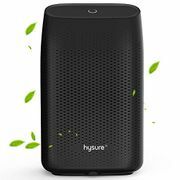 Noise-Free Air Dehumidifier, Powerful & Portable - Half Price with Code! 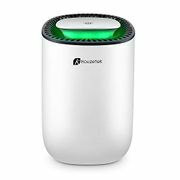 Find affordable quality dehumidifier UK online deals! A dehumidifier is an electrical appliance that is specially made to reduce the level of humidity in the air. These types of appliances are usually used for comfort and health reasons. Maintaining the humidity in the air will help eliminate musty foul odour and it is also effective in preventing the growth of moulds and mildew. They are used for commercial, industrial, and residential applications. There are large dehumidifiers that are used for warehouses, industrial spaces, and commercial buildings to control the humidity. It works by extracting water from process air. They are actually two types of air dehumidifiers. These are Condensate and Desiccant Dehumidifiers. Condensate dehumidifiers collect water by utilising a refrigeration system and use it to condensate water and convert it into vapour. Desiccant dehumidifiers, on the other hand, are also known as absorption dehumidifiers which bond water from the air using hydrophilic materials like silica gel. There are commercial Desiccant dehumidifiers that have hot air recover systems to remove humid air. 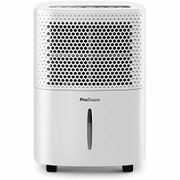 Today, there are many portable dehumidifiers to provide comfort for your home or office space. These appliances can help remove microbes in the air and help people with breathing problems. Looking for the best dehumidifier UK but on a budget? Here at Latest Deals you’ll get huge savings on all types of dehumidifiers from top brands. 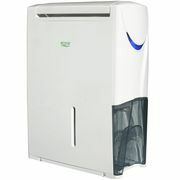 Find dehumidifier for bedroom, air dehumidifier, dehumidifier machine, portable dehumidifier and more. Whatever it is you’re looking for, you will surely find a deal here that will suit all your needs and budget. Our massive community of bargain hunters are always sharing verified sales and special offers on all types of dehumidifiers available in the UK. We also have a team of money-saving experts who regularly provide essential shopping tips and tricks that can give you some serious money off on your instore and online purchases. Most online UK retailers have sale events, seasonal clearances, and flash sales where you can get as much as 50% off on select dehumidifiers. Watch out for their Black Friday and Boxing Day deals where their prices are reduced even further. If you want to maximise your savings, make sure to use the latest dehumidifier discount codes we have here. We also have dehumidifier voucher codes where you can get freebies or free shipping. Dehumidifiers reduce the humidity levels in your home or office which prevents allergens from invading your space such as mold, dust mites, and mildew. They run efficiently and you won't even notice that it is running. Dehumidifiers are quiet to operate and they can be placed in any part of your home. These appliances reduce foul odors like rotten smell which is the cause of mold and mildew. This can help people with asthma and other breathing conditions. Dehumidifiers reduce the development of mold in your furniture, linens, clothing, curtains, and more. It helps reduce skin irritation and allows you to feel comfortable in your office or home. It also helps you to breathe comfortably and easier. Having a less humid space will also make bread and cereals last longer. It will also prevent computer equipment and other electronic gadgets from being corroded. They are also cost effective and you do not have to clean it as often. These electric appliances are also very affordable and you can practically buy it at your nearest department store or appliance center. If you often get allergies and you do not feel well most of the time because of it. When there is the accumulation of dust mould, mites, and mildew. When you live in humid climate places, you often experience seasonal allergies. Water stains are present on the ceilings and walls of your home or office space. When there is no or poor ventilation like bathrooms and storage spaces. If your home does not have any windows that can provide proper air circulation. You can see frequent condensation in various areas such as windows and countertops. Small black spots or mould spores start growing in various places most especially on walls and bathtub. Musty or mildew smells that you might find irritating to your nose.